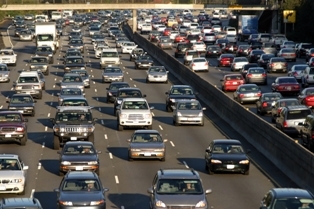 Every year, nearly 250,000 accidents occur as a result of highway merging mistakes. The Federal Highway Administration (FHWA) estimates that 40% of bottlenecks and traffic congestion are caused by some form of traffic merging confusion. However, the FHWA believes that it may have a solution to reduce merging collisions. That solution? The zipper merge. As it stands, there are no specific traffic laws that mandate how or when a vehicle must merge if the lane he is in ends. As a result, drivers are left to their own devices to decide when to move. There are three basic techniques for highway merging. These include the immediate, the early, and the zipper merges. Immediate merge. The immediate merge is usually a safe technique, although not necessarily the most efficient. This technique requires drivers to slow down and look for an opening to merge as soon as they realize their lane in going to end. This technique reduces road rage as those in the continuing lane aren’t forced to watch other cars get ahead of them for ignoring the signs. Early merge. Like the immediate merge, the early merge requires you to move over as soon as you’re able to do so. However, instead of slowing down to enter the other lane, with an early merge you maintain your speed, but you use your turn signal to indicate that you’re trying to move over. Once another vehicle in the proper lane gives you an opening, you can seamlessly merge into it. “Zipper” or late merge. The zipper merge is a somewhat controversial as it may increase frustration for immediate and early mergers. This merge requires traffic to stay in all open lanes up until the convergence point. As the lanes begin to merge, the zipper theory is that the converging traffic will take turns going through the choke-point—one car from one lane will go through, then a single car from the other lane will go and so on—like the teeth of a zipper coming together through the pull tab. The FHWA’s Office of Operations believes that a simple change in merging technique can help decrease confusion and accidents. It suggests that by using all lanes for as long as possible, and then employing the “zipper merge” technique, accidents will decrease and the flow of traffic will improve. Unfortunately, the zipper merge is facing an uphill battle, as 65% of merging accidents are caused by impatient drivers failing to take turns and pushing their way into traffic wherever and whenever they feel like it. For more information on safe driving techniques, feel free to browse our website. What is a cognitive driving distraction? Post a Comment to "Zipper Merge vs. Early Merge: Which Is Safer?"